Schools already leading the way: Green Screens installed! With the density of development and unprecedented traffic, London has some of the highest levels of pollution in the UK. Research and evidence is painting an increasingly stark picture of the effects that poor air quality can have on human health and increased numbers of people succumbing to cardiovascular and lung complaints. The levels of the harmful pollutants nitrogen dioxide (NO2) and small particles (PM10) are at dangerous levels within the City. The Square Mile at the heart of the City has been designated as an “Air Quality Management area” since 2001 – this means it was felt unlikely that the City would achieve the national air quality objectives without further investment and action. There is no more important outdoor environment to protect from the dangerous toxins of traffic pollution than beyond the school perimeter. 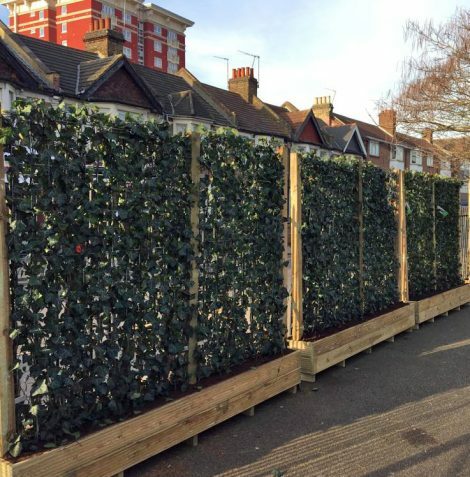 Working with a number of screen installers across the City, Mobilane are working tirelessly to supply 100s of metres of Green Screens as the first line of defence in the battle to improve air quality. 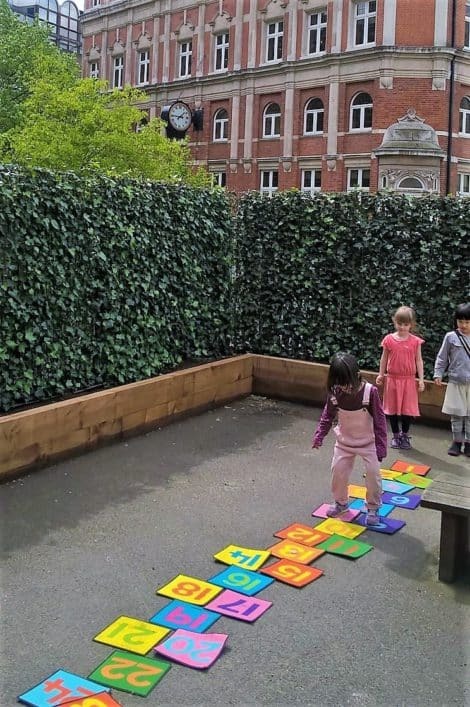 Launched in April 2013 by the then-Mayor of London, Boris Johnson, the Mayor’s Air Quality Fund (MAQF) is providing grants from over 10 years from a £20 million fund to support new projects by London boroughs to improve air quality. Projects have been funded and completed so far with the same aim – to reduce emissions and pollution AND to prevent their ongoing damage to existing residents and visitors to the City. 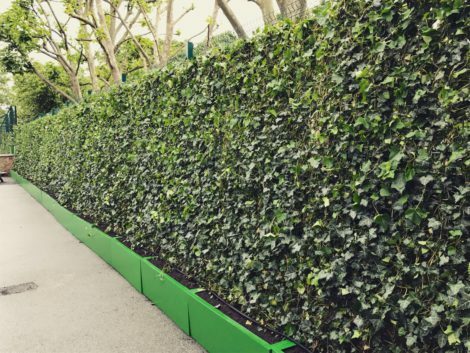 Ongoing research shows that the Mobilane Green Screens, superior in plant density and construction than other green screen options, help remove PM10 particulate pollution – in some sample locations up to 60% of the particles were “cleansed” from the air behind the screens. 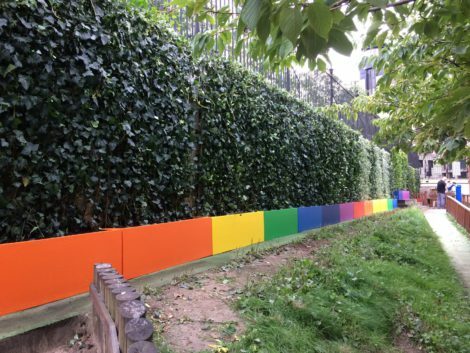 The research continues to further validate these initial findings, but increasingly, the installation of Green Screens offers not only a secure and natural screening barrier for schools’ perimeters, but a valuable screening option to reduce the harsh effects of urban pollution from our schools and communities. Today’s Mayor, Sadiq Khan has continued and developed the urgency in improving urban air quality with the The Mayor’s Air Quality Audit, launched last Autumn (September 2017). 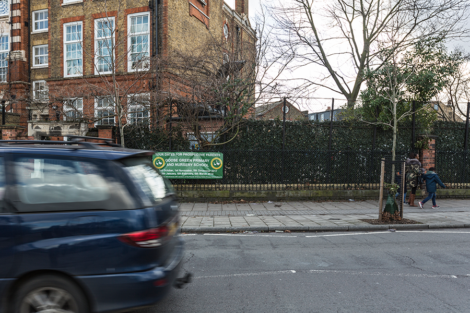 The first 50 air quality audits for primary schools in the worst-polluted areas in London have been conducted and measures identified to protect pupil’s health from the toxic air. 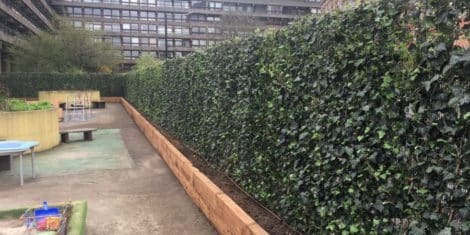 One of the main recommendations was the improvement of “green infrastructure such as ‘barrier bushes’ along busy roads and in playgrounds to help to filter toxic fumes.” And there is no more effective, easy-to-install, low maintenance ‘barrier bush’ than a Mobilane Green Screen! Act now if you are concerned about the levels of pollution and air quality at your school, in your playground or playing fields. You can apply for funding when the next grant window opens (most recently in January 2019). This need not be an administrative nightmare – we can guide you in how to gain a free Green Screens Audit where your green screen installer can check all your measurements and qualifying criteria and help you complete your application as part of your funding package. CONTACT US TODAY and start your journey to cleaner, healthier air for you, your school and community. You can follow us on social media: Twitter @Mobilane, Instagram @Mobilaneglobal or Facebook MobilaneUK, and show your support for the campaign with the hashtag #greenmyschool.